Where Can We Save You Money? - Ensures complete and accurate information is entered into the project tracking database promptly. Please bring a resume and be prepared to interview. Kate is a graduate of James Madison University with a B.S in Hospitality and Business Management. Her retail, sales, and recruiting background has given her the hard skills to identify a top candidate match. 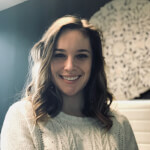 As a naturally passionate student of organizational behavior, Kate has a desire to partner with companies and candidates to further their success. On the weekends, you will likely find Kate at local coffee shops, going to the gym or playing with her golden doodle. As a self-proclaimed busy-body, there is probably a trip being planned or new goal being set – always preparing for the next challenge. Affordable. Accountable. Responsive. Proud Users of COATS Staffing Software.